Steve Carell does bring that humble nature and PTSD terror to Hogancamp’s story, but it comes up short once Zemeckis’ starts monkeying with the mechanics. About a third of the film is told through the eyes of the dolls that Hogancamp craft’s, as well as their surroundings. These scenes are a little jarring, as they come to life to fill in a plot point, or in Hogancamp’s mind, during a restless night of sleep. These scenes feel out of sorts with the film because they pop-up like a jump scare or are inadequately shoehorned in alongside real-life events. While it’s a creative concept, with the dolls literally coming to life and talking to Hogancamp or playing out parallels in his life, they muddy the storytelling waters. Zemeckis’ attempt to be clever, end up diluting the various themes of Hogancamp’s story, one that is about recovery, acceptance and the mental struggles that victims of vicious attacks go through. Also undercutting these serious subjects is misplaced humor that disjoints the overall narrative. 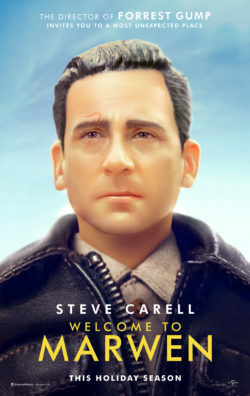 Moments that should move you emotionally fall short because of how tonally misshaped “Welcome to Marwen” is. The doll sequences become overbearing, stretching out the story, with several aimless subplots and awkward moments that come off unintentionally funny as opposed to sympathetic. I can’t complete dislike something that comes from a good place, but it’s understandable if someone walks out of this movie confused or bothered by its half-hearted attempts at compassion. Felix Van Groeningen spins a pair of true life father and son memoirs about the latter’s struggle with drug addiction into two really touching turns from both Steve Carell and Timothee Chalamet in Beautiful Boy. The film opens in limited release today and despite some heavy-handed technical choices, succeeds on the authenticity of Carell and Chalamet’s performances. Steve Carell is instantly sympathetic as David Sheff, who we meet in the midst of his son Nic being missing for a few days—a not unusual occurrence as it turns out. 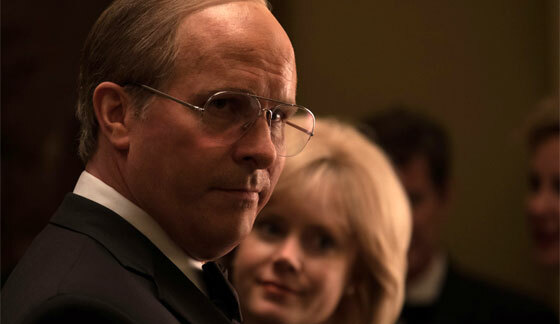 I was relieved when early on his wife (Maura Tierney, bringing a lot to a smaller role) gave him a hug because you can just read on his face such a high level of fragility. He’s worn down by Nic’s habits and tired but also terrified and barely holding it together, he needs that hug! Meanwhile Chalamet suppresses any temptation to overact Nic’s drug addled tics. Instead he keeps all the manic energy behind his eyes and in his slightly unbalanced physicality. Some of the strongest scenes come when Nic is desperately trying to deny that he’s relapsed to get money from an unbelieving David. The film’s greatest strength is resisting the temptation to come down hard on either side of this struggle. “Relapse is part of recovery” becomes David’s mantra when Nic disappoints but that doesn’t mean he’s wrong when he needs to refuse Nic for his own sake. At these moments Carell is almost painfully affecting (frankly, I wanted to hug him too) and I felt my heart racing at times when he, understandably, has to snap and really argue with Chalamet. There are number of choices Van Groeningen makes however that jar you right out of the story in drastic ways. The music over the opening of the film when we’re introduced to Dave and young Nic’s relationship is so overwrought I felt as though we’d dove right into the climax instead of the titles. These heavy-handed musical interludes occur over and over either in instrumental or lyrical form but I only felt emotionally touched—because how can you not be?—by the titular John Lennon tune which Carrell sweetly sings to young Nic as he tucks him in. And while I’m discussing Young Nic, besides Chalamet—who, at most is meant to play Nic in his twenties—not just one, but three other boys are deployed to play a younger Nic in flashbacks. It’s distracting not only for the quantity of actors but because the first young Nic is none other than It‘s Jack Dylan Glazer. Glazer himself is fast becoming as recognizable A Name as Chalamet, so when he also gets replaced by still younger models it starts not to feel like the same character. More like props for David. The film is a vital story for a time when America is seeing an epidemic of young people overdosing but in these odd choices, the film gets in the way of itself. When it backs off and let’s the actors take control, A Beautiful Boy shines. Do you remember where you were 44 years ago? I do. On Thursday night, September 20th, 1973 I was at my friend Mike Schwartz’s house (my parents had gone out that night) and, along with his family, sat down in front of the television to watch what was being billed as “The Battle of the Sexes,” a tennis match between reigning superstar Billie Jean King and former champ Bobby Riggs. Having just turned 13-years-old the week before, I had no idea who Riggs was and the only thing I knew about King was that her brother, Randy, was a pitcher for the Giants and I owned his baseball card. Thankfully there was much more to the story. Depending on your age you probably can’t believe that there was a time where it not only seemed like a joke to suggest a woman could run for President, it was news any time a woman was elected to office. In 1973, there were 16 women in Congress (out of 433 members) and a grand total of ZERO in the Senate. Any woman who showed any gumption was looked down upon by a very chauvinistic male society. One of these women was Billie Jean King (Stone). The #1 ranked women’s tennis player in the world, King was very vocal in getting the prize money paid to women at tournaments raised to the same amount as the men. Learning that, for winning the US Open, the winning man would receive $12,000 while the woman champ took home $1,500, King not only boycotts the tournament but convinces the other top female pros on the circuity to join with her and form the Women’s Tennis Association (WTA). 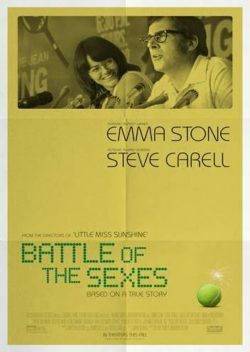 An entertaining and charming film, “The Battle of the Sexes” is just the backdrop in a look at the life of one of sport’s greatest figures. The film looks at King’s home life; her marriage to Larry King (Austin Stowell) (not THAT one) seems happy but when she meets a young female hairdresser (Andrea Riseborough) she realizes that maybe she’s not. There is also the constant bickering between the WTA members and tennis honcho Jack Kramer (Pullman at his pompous best). Not only is the film fun to watch, it handles it’s subject matter (both the tennis and the unexpected love story) with reverence. Both Stone and Carell give standout performances, and they are aided by quality performances from Pullman, Riseborough and an incredibly funny, but serious, Sarah Silverman. Look for the film to garner an Oscar nod of two come January 2018. The story of the famous tennis match between world #1 Billie Jean King and former tennis champ Bobby Riggs, the film stars Academy Award winner Emma Stone and Steve Carell and will be shown on Wednesday, September 27th at the Cinemark Palace on the Plaza. The screening will begin at 7:00 pm. All you have to do is click here and download your pass. This giveaway is first come/first serve. When the 50 allotted passes have been claimed the giveaway is over. When: Wednesday, September 27, 2017 at 7:00 p.m.